So I fianlly Got a new dvd burner today, like $43 bucks from bestbuy . My old burner that came with my dell machine bit the dust a few weeks ago, I have been without for a while, and I saw this bargain and jumped on it. 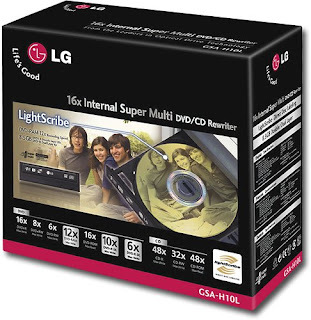 It has lightscribe, which lets you burn images right on the disc surface. I'll keep you updated on the results.